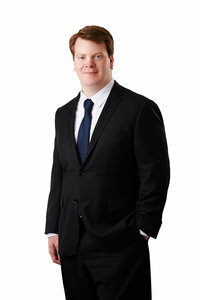 David Scott is an associate of the firm and concentrates his practice on business litigation matters such as partnership disputes, contract disputes, civil RICO, and breach of fiduciary duty. David also devotes significant aspects of his practice to securities litigation, class action cases and creditor’s rights. David graduated from the Wake Forest University School of Law in 2012 where he was a member of the Wake Forest Journal of Law and Policy. While in law school, David gained experience in the Delaware County District Attorney’s Office and as a law clerk for a judge on the Delaware County Court of Common Pleas. Prior to joining the firm, David worked for a suburban law firm where he concentrated his practice on civil litigation and creditor’s rights. He has additionally been published on multiple occasions in the field of alcohol regulation.